Posted on Sunday, September 11th, 2016 at 14:01. Hey gang! I’ve updated the OVA 4 section with a bit more information. If you’d like to know some info on the seiyuu and such, Crunchyroll has that information. The official website has some information about episode 1 as well as some screen caps (nothing spoiler, just character shots for the most part). Those images are also archived here. From the best I can tell, episode 1 will take place either during Rea’s and Nobuyuki’s wedding from OVA 3+1, or just after said wedding. Well, I’m starting to get excited for this! As for Minami, yeah, I don’t think that she’ll be in a flashback. I wonder if they are going to do time skips or whatnot. Surprised to see that not much time has passed after OVA 3 considering Sasami’s apparent age. Well, the first episode appears to be from the events in OVA 3+1. I’m guessing that Kajishima-sensei wanted to to an episode about Nobuyuki’s and Rea’s wedding, but didn’t get to back then. Or possibly filling in some blanks that he didn’t get to tell. According to um… rough translation, the official story page mentions something about starting and ending at a trimester. Just thought it would be funny if it goes through Reia’s pregnancy with Kenshi. 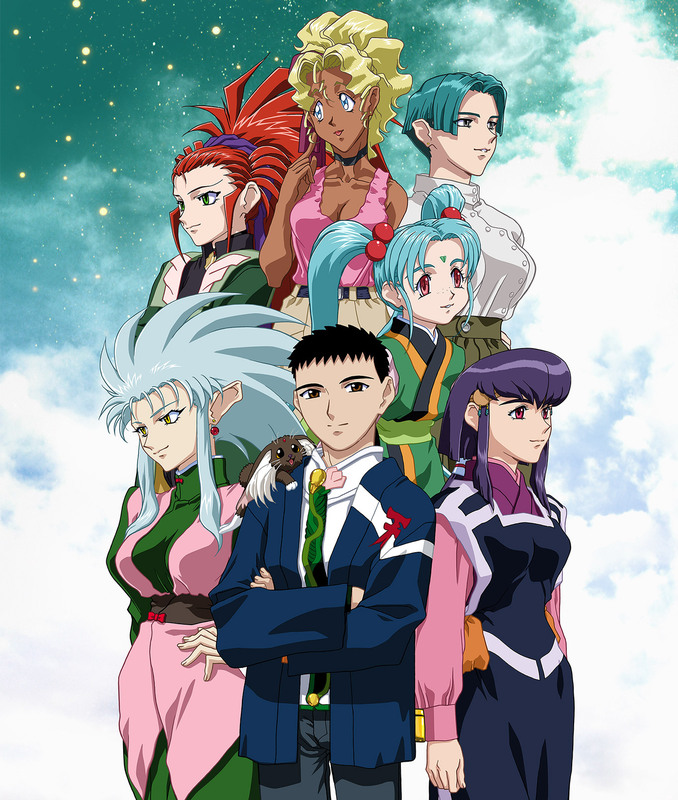 Tenchi Muyo Ryo-Ohki was the sole reason why I love harem series! God I remember those days just coming home from elementary school and throw my backpack on my bed just to watch the Tenchi Muyo series on Toonami (along with DB, DBZ, Yu Yu Hakusho, and Outlaw Star). I’m so glad we’re getting an Fourth OVA series because I love these series (including Universe, Tenchi in Tokyo, GXP, and War on Geminar), the characters and there crazy story arcs. Yeah the OVA canon series is complicated to understand but hey that’s one of the reasons why I love it. Can wait to see what awaits me in the OVA series! Tenchi Muyo Ryo-Ohki was the sole reason why I love harem series! Ha!ha! I can understand that. I actually found a taste for harem titles after watching Hand Maid May and Love Hina. TM!R was my third harem title, mainly because everyone told me it is the father of the modern day harem genre. Can wait to see what awaits me in the OVA series! Well, there’s a video preview now.